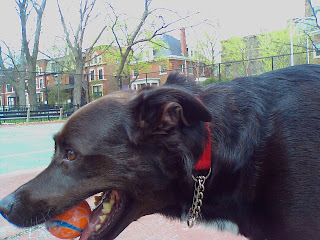 Sports for the Urban Canine: Best job ever? I think so! Where else can you get away with playing ball outside with two cool dogs? No where!!! Meet Bill and Soph. 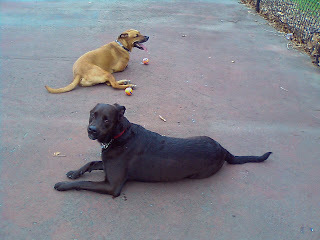 Two rockin' pups that can't get enough of playing ball. Only dogs I know that can kill Tuff Balls in one session. Bill is the one in brown and Soph is the one in black. Proud siblings to two new baby human sisters.